This is an archive of ALL betting system reviews including current reviews and final reviews. Well the Masters may have just finished with Tiger Woods’ winning in historic fashion but there are still three majors left this season and a whole host of top quality tournaments too. So it’s as good a time as any start a new trial of a golf tipster and today we have one for you that looks pretty special. They are called The Golfing Guru and rather appropriately come from the Tipping Gurus tipster platform. Although a relatively new kid on the block, the Golfing Guru has put together such strong results so far that we felt we just had to take a look for ourselves and undertake a full review. Since starting up in January of this year they have made over 150 points profit, which would be over £1,500 to just £10 stakes and works out at over £500 profit per month. That has been achieved with a staggering return on investment of over 90%, which is quite phenomenal and to be honest is probably not sustainable over the long run. However, if they keep churning out the profits each month then you don’t need an ROI as high as that, 20% or 30% would be more than acceptable. And a whole host of placed finishes, which in just over three months of operating is pretty impressive stuff. Anyway, we will see if that kind of form can be maintained over the long run so will aim to run a full six-month review of the service. We will update results here regularly during the trial. In the meantime you can check out The Golfing Guru for yourself here. Ace Tennis Previews is a tennis tipping service based in Australia and provides selections in men’s and women’s matches around the world. We have completed a six-month trial of the service (which included the end-of-season break) and we proofed over 280 tips in that time. The selections come with detailed write-ups and you can see that they really know their stuff when it comes to tennis, with strong knowledge of the lesser-known players and their games in particular. Sadly though, even with this specialist knowledge it didn’t translate into profit during our trial and a loss of 28 points was made overall. Whilst that wasn’t necessarily the end of the world, over an extended period like our review covered, we would hope to see some kind of positive return generated. So unfortunately we think the only fair verdict here is a narrow FAILED rating, as once you take subscription fees into account you would be quite a bit out of pocket from following the service. We don’t doubt Ace’s expertise, it is just a question of whether that can be turned into an edge over the market in the long run and that remains to be seen for the moment. Ease of use: Good – tips are normally sent out a good day or so before matches are scheduled to start and with an average of 1-2 bets per day there isn’t too much work involved in following the service. 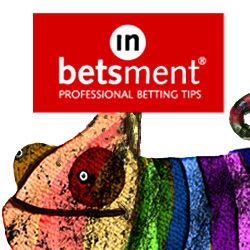 Availability of prices: As this is an Australian-based service the odds are occasionally advised with Aussie bookies like Topsport which might not be available to UK-based punters, but most bets are advised with bookies like Unibet and Bet365, which should be widely available to punters internationally. We had a few occasions when we weren’t able to obtain the advised odds but others when we beat them, so overall it probably balanced out OK.
Strike rate: The strike rate for the trial was 50%, so exactly half the bets were winners which is pretty decent. Advised Betting Bank: We didn’t come across any advice on betting bank size but used a 100-point bank for the purposes of the trial, which seemed more than adequate for following the service. We have struggled over the years to find many profitable tennis betting services and unfortunately this one is another that failed to find the mark. We can see that Ace Tennis Previews have considerable expertise in tennis but we just didn’t quite see that turned into profit over our trial. A loss of 28 points and a negative ROI of 4% means a FAILED rating unfortunately, although as always if they could demonstrate profitability in the longer run we would of course be prepared to revisit our findings. It’s been a good month for Ace Tennis Previews since our last update, with a profit of 17 points made in that time. That means they are now 6 points up for our trial overall. With the tennis season getting into full swing now and the form settling down it is good to see the results picking up as well and hopefully it is a sign of things to come. It’s been a good run lately for Ace Tennis Previews, with a profit of 12 points made since our last update in November. That means they are now 11 points down for our trial overall. It’s been a busy start to the year with the Australian Open so there have been a good number of bets lately and it’s encouraging to see things moving in the right direction for them. Let’s hope by the time of our next update we will have moved into profit for our trial. It’s been a tough start to our trial of Ace Tennis Previews, with 23 points lost so far after just over a month. This is an Australian-based service so the odds are occasionally advised with Aussie bookies like Topsport, but most are advised with bookies like Unibet and Bet365, which should be widely available to punters internationally. The official service is now taking a break until the start of the new season, although there will be a few bets posted on the website in the meantime. We will pick things up again though when the main season kicks off down under in early January. Regular followers will know that we have complained quite a lot about the lack of good tennis betting services out there, with only two ever having passed trials here at Honest Betting Reviews. Well thankfully it looks like we may have found a couple of promising new tennis services out there after a great deal of searching. One of them is Tennis Goldmine, which we are currently reviewing and has got off to a good start. The other one, which is the subject of this trial, is a service called Ace Tennis Previews. This one was actually suggested to us by one of our members, Vlad, so thank you to Vlad for pointing it out. It comes from Australia and is a betting (rather than trading) service looking at a variety of markets including handicaps, game numbers and so on. What intrigued us about this service was not just that it had strong-looking results with 24 units profit made at a return on investment of over 11% over the last couple of months, but a big Twitter following of over 10,000 fans and an account going back to 2013. Looking at the Twitter account you can see they have built up a loyal fan base and clearly have very in-depth knowledge of tennis. That comes across clearly as you look around the site and the Twitter account. So it seems to us that this is a genuine service and has some promise, but will it actually generate a profit over the long term? Well as ever, that is what we are here to find out, so we will run a live trial to see how they get on. The trial is likely to run longer than our normal three months as the tennis tours have a hiatus in November/December time. Hopefully we’ll get a sense of how well the service is performing before then though and will update results here soon so you can take a look. In the meantime you can check out Ace Tennis Previews here.